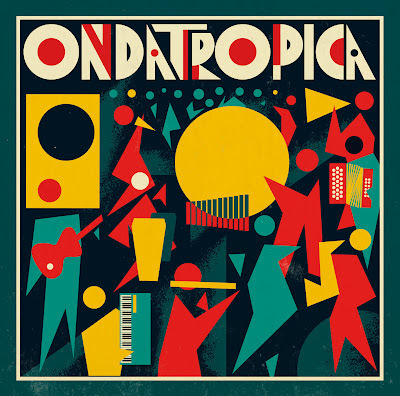 Ondatropica is a project organized by Will (Quantic) Holland and Mario (Frente Cumbiero) Galeano, two musicians in their 30s who are obsessed with the wide scope of popular music that has been produced in Colombia: cumbia, vallenato, porro, currulao, champeta, salsa and more. They rented the studios at Discos Fuentes, Colombia’s first and still largest record label, and invited a variety of musicians to join them – veterans like bassist Fruko, accordionist Anibal Velasquez and saxophonist Michi Sarmiento, and younger players like rapper Ana Tijoux and trombonist El Profe. 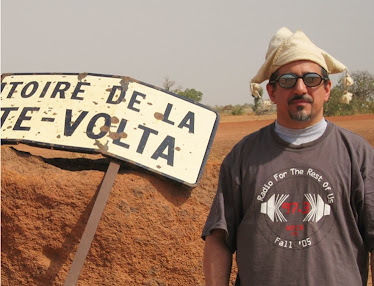 The material, primarily compositions by Galeano and Holland, is a 21st century take on Colombia’s remarkable musical treasury – 7 and 14 are big-band-style cumbia straight out of the 1950s, 10 is classic salsa Colombiana, while 4 is cumbia rap (and the best Ana Tijoux performance yet) and 8 is one of the best brassy ska tracks (a la The Skatalites) you’ll ever hear. It’s tempting to call Ondatropica the Colombian Buena Vista Social Club, but that really underselling the ambition of this project – it’s both historic and as up to date as today’s news. Superb.